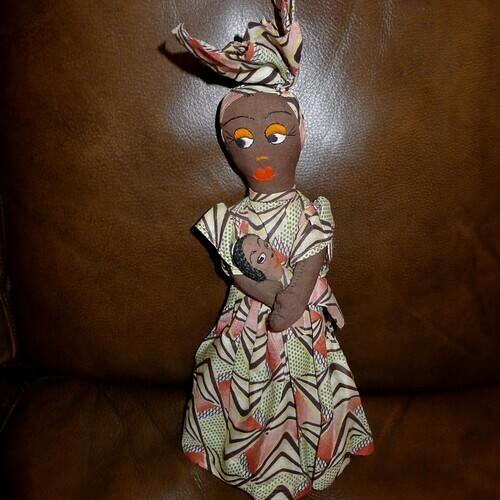 One of the pleasures of the Rwanda TechWomen delegation was shopping for crafts to bring home as presents to family and friends. 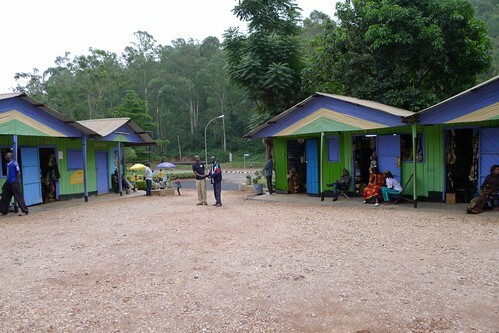 In between official events, we went to group venues like Caplaki Cooperative des Artistes Plasticiens de Kigali but we also purchased from roadside vendors. 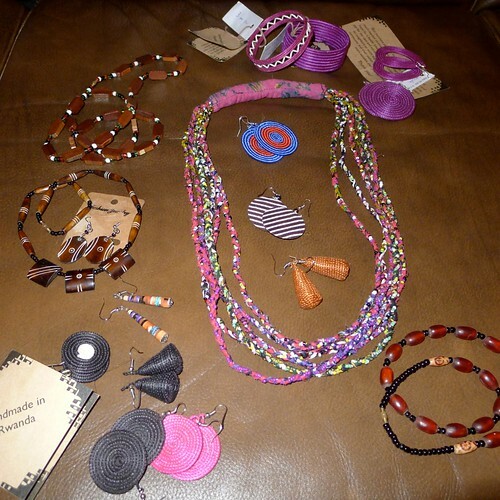 It seemed to me that many of the items in the craft centers came from Tanzania (for example, anything made of ebony), and Kenya – I have seen the same stuff for sale from Kenyan vendors here in the US. 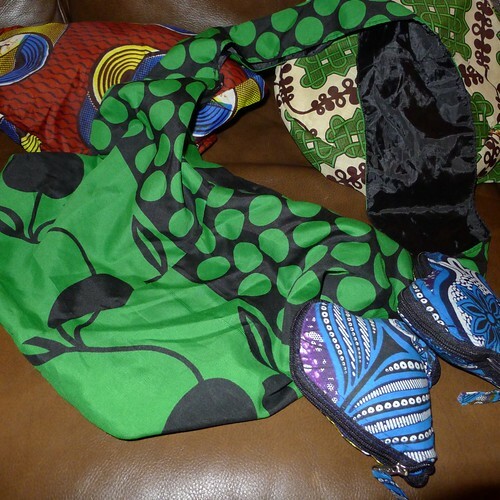 For my gifts, I tried to select items actually made in Rwanda, and when possible, from the actual craft worker. 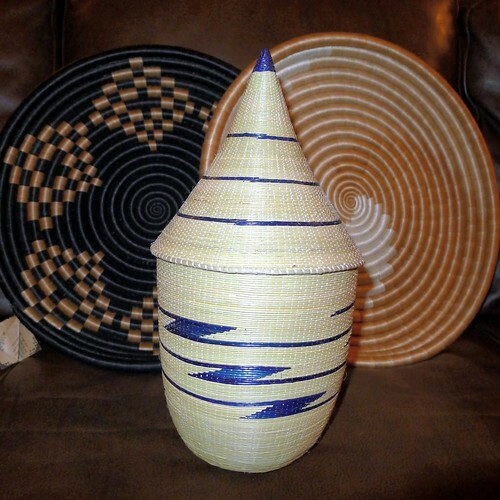 Basket making is a high-level craft in Rwanda, with the pointed “peace basket” being the famous example. 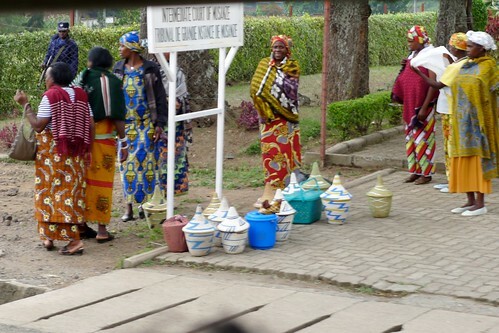 We often saw women on the road carrying peace baskets, so this is not just a tourist thing. Weaving is also used to make lovely and functional jewelry – the tiny earring baskets being particularly fine. 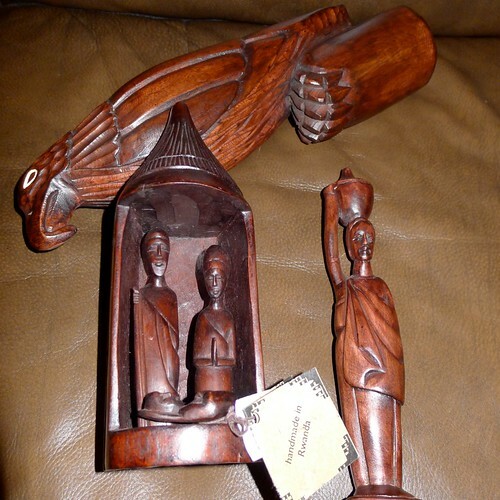 I bought several carvings of red jacaranda wood and figures woven from banana leaves. 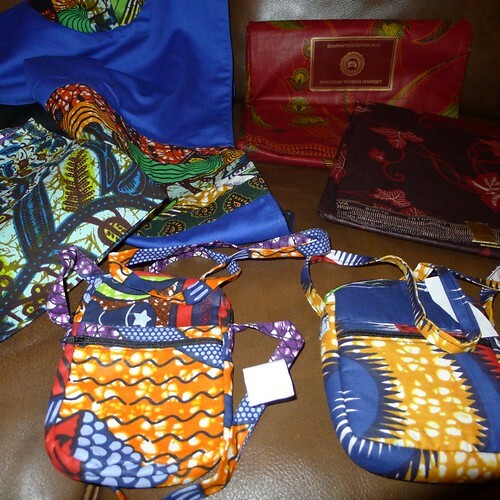 There were many items made locally from lovely bright cloth imported from Congo (DRC). Of course, we avoided anything antique or that might be made of real ivory. Our group of mentors enjoyed bargaining and talking with the craft workers as part of our shopping experience. 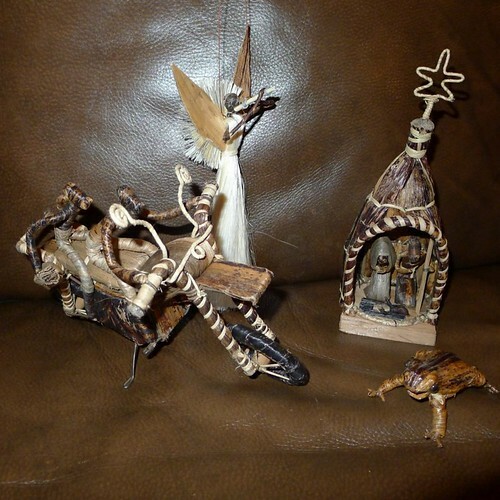 Was that a frog in full-leap I saw in one of those pictures? It appears to have an amazing expression.